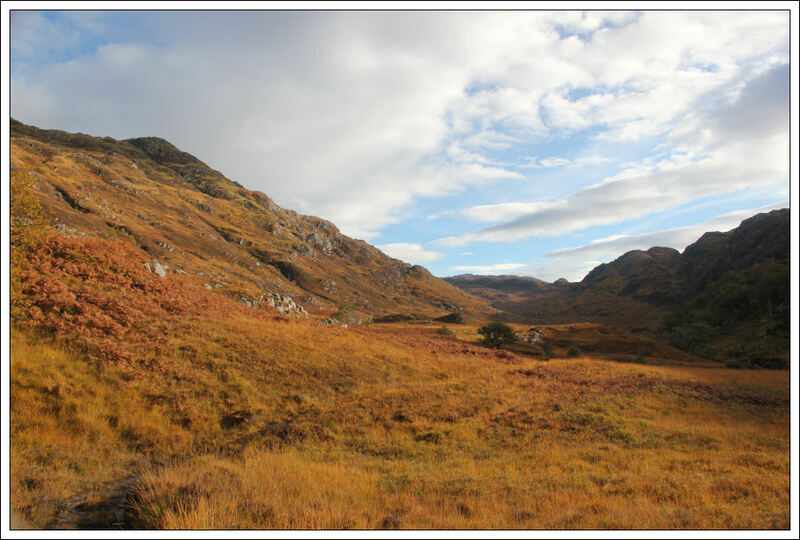 I set off early yesterday morning to attend the monthly Moray Mountaineering Club Bus Meet, destination Glenfinnan. After picking up Club members in Elgin, Forres and Inverness we travelled down the A82 and then along the A830 before dropping off members at six different starting points along the A830. 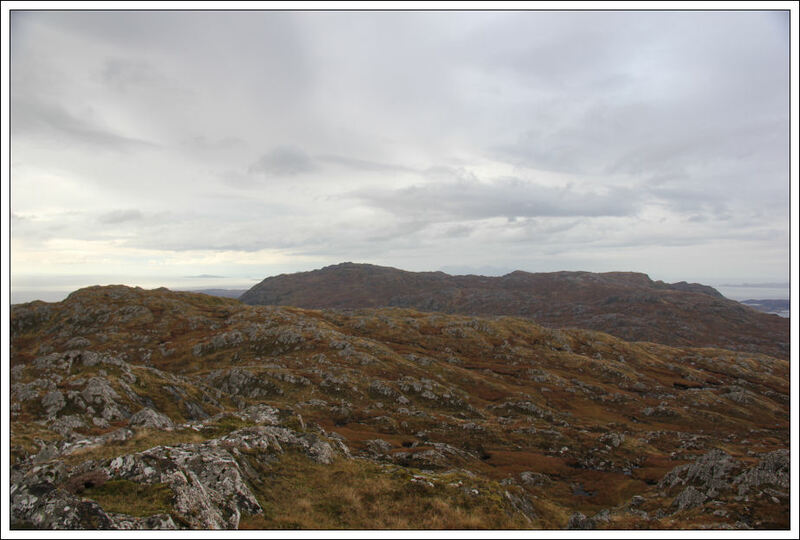 Ascents undertaken included Gulvain, Sgurr nan Coireachan, Sgurr Thuilm, Sgurr na Utha, Glas Charn, Sgurr Craobh a’Chaorainn, Sgurr Ghuibhsachain, Beinn Odhar Bheag and Beinn Mhic Cedidh. Myself and John were last to leave the bus, disembarking at Beasdale, to undertake an ascent of two Sub2000ft Marilyns called Sithean Mor and Beinn nan Cabar. 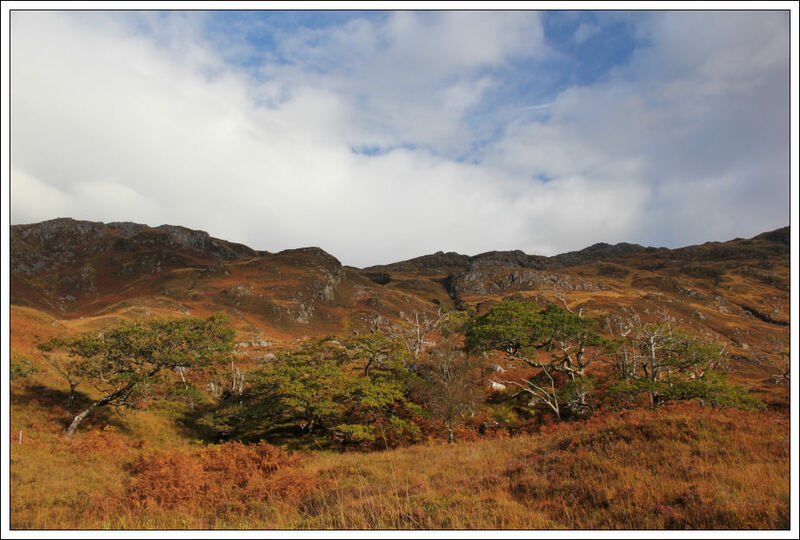 After walking circa 0.5km along the Glen Beasdale track, we began our ascent of Sithean Mor. 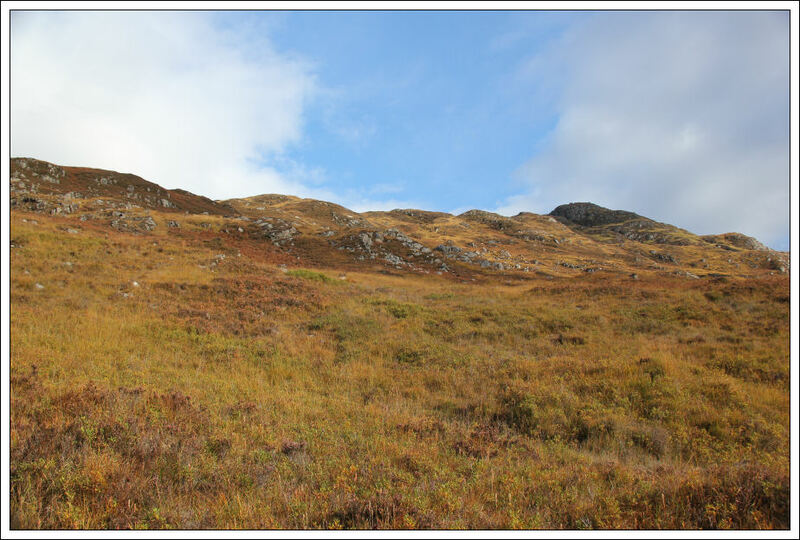 The ascent of the lower slopes of Sithean Mor was arduous – rough terrain and steep. 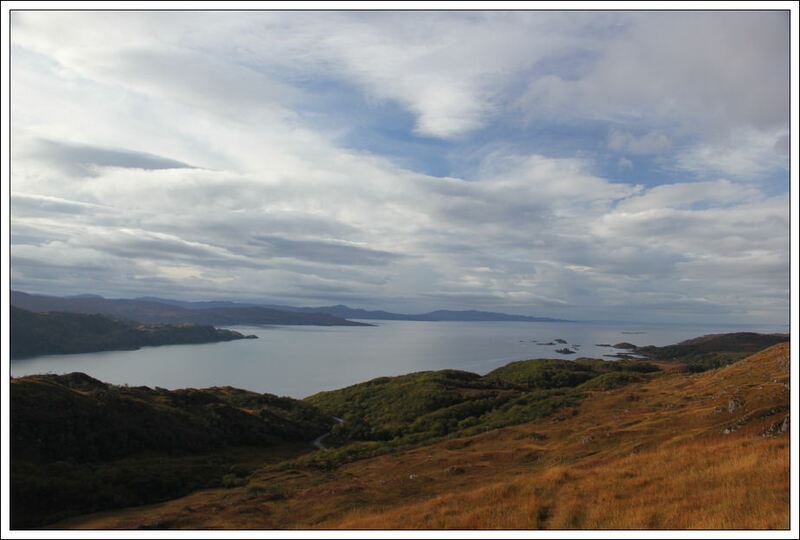 As we gained more and more height, the views towards Loch nan Uamh and beyond to Moidart and Ardnamurchan got better and better. After ascending a couple of hundred metres we found and followed a faint deer track leading up the hill. 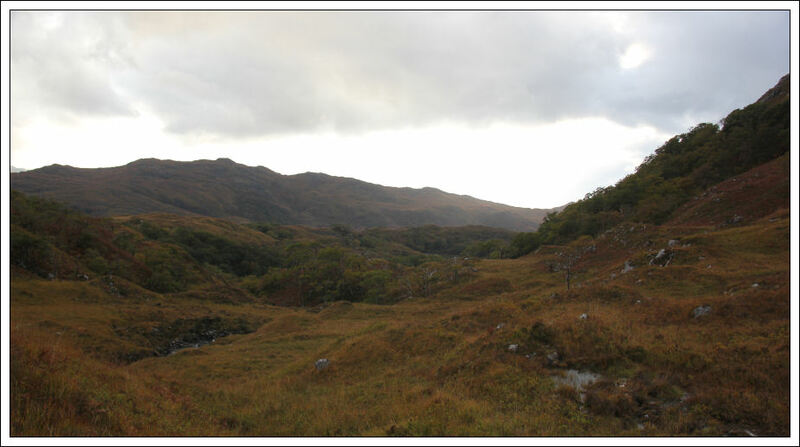 During the ascent we could hear and see the smoke from the steam locomotive which was travelling between Lochailort Station and Beasdale Station. Unfortunately, we were unable to get a sighting of the train. 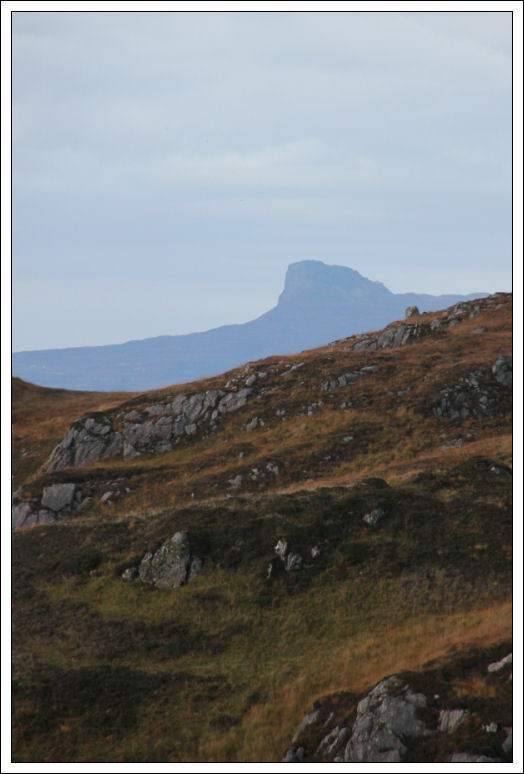 At a height of circa 400m we got our first sighting of An Sgurr on the Isle of Eigg. 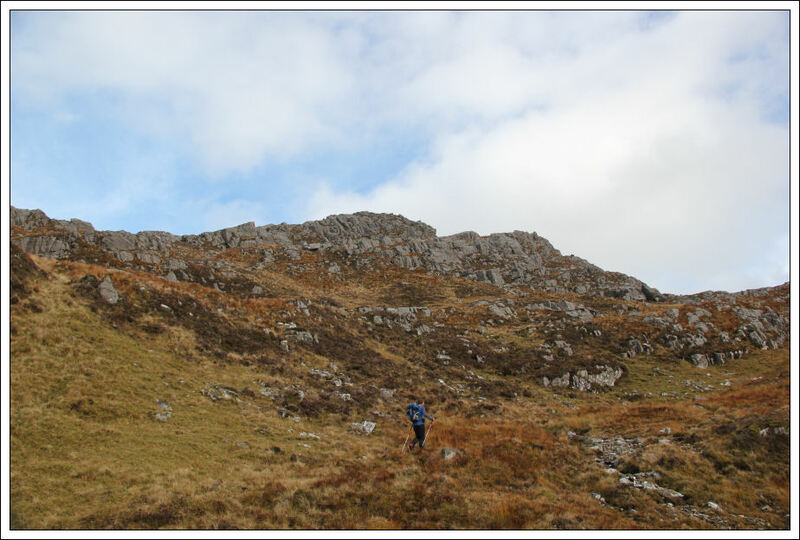 An Sgurr is one of my favourite Sub2000ft Marilyns – a fantastic hill! 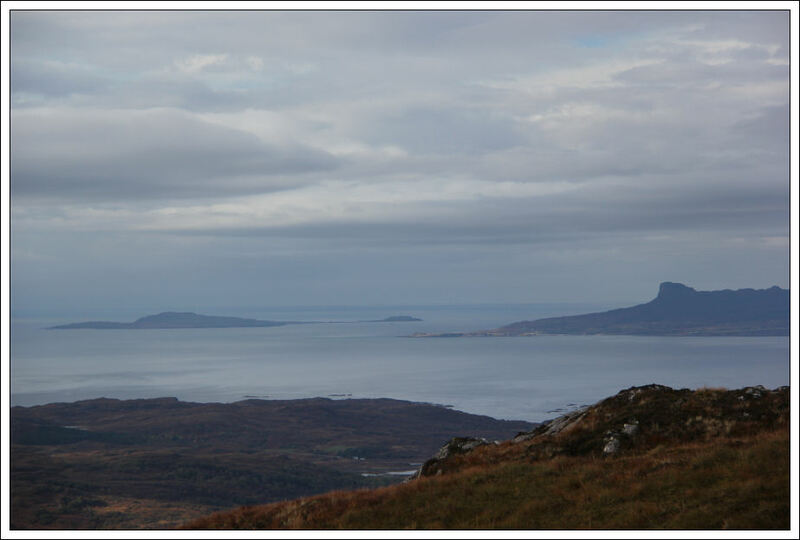 One of my favourite hillwalking weekends of all time was on Eigg and Canna. 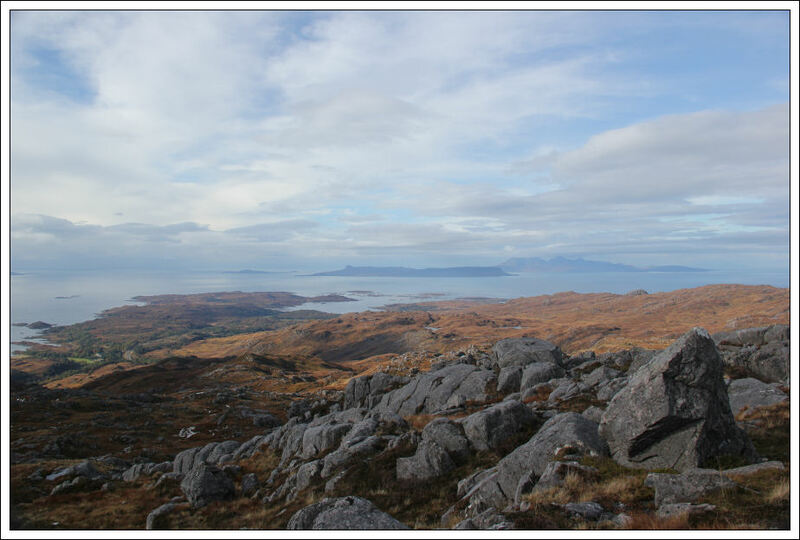 On reaching the wide ridge of the hill, we got cracking views across to Muck, Eigg, Rum and Skye. 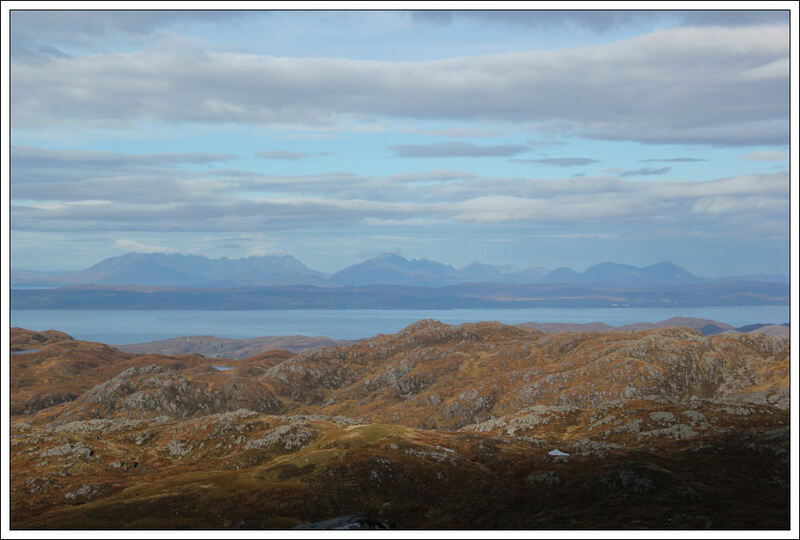 For a relatively small hill, Sithean Mor is a great viewpoint. 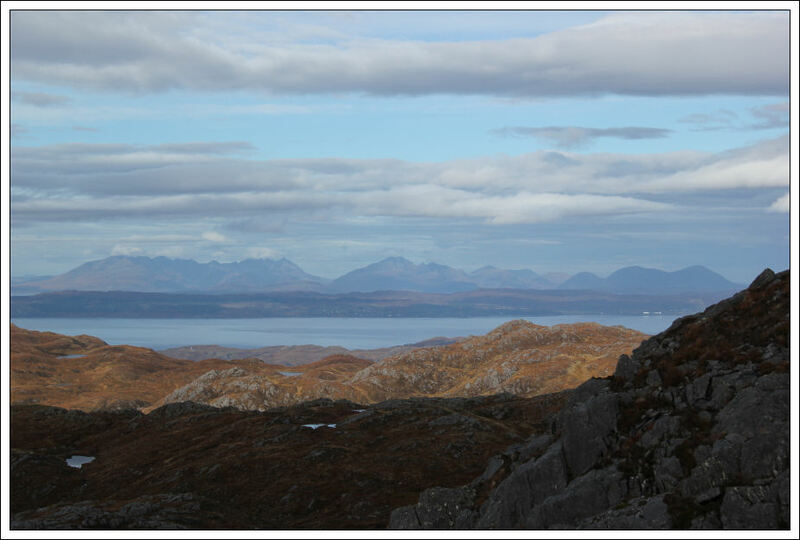 It was nice to see the pinnacles of Sgurr nan Gillean. 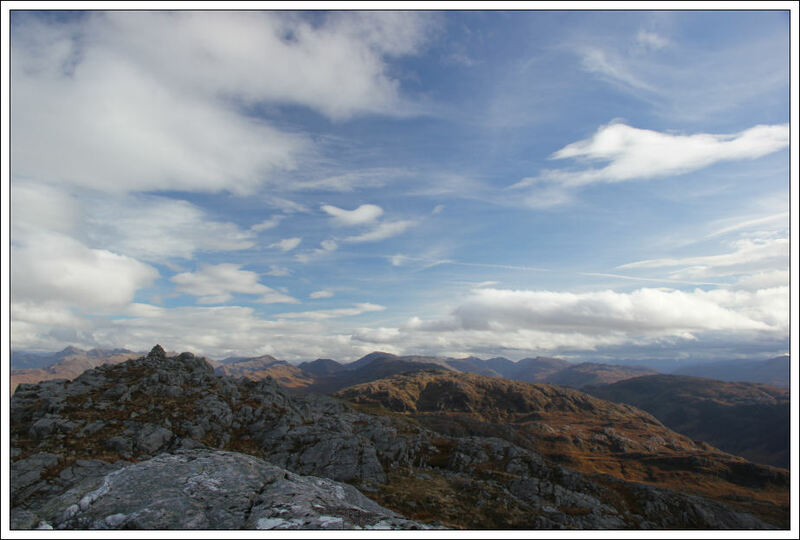 Another of my favourite days out of all time was an ascent of Pinnacle Ridge. 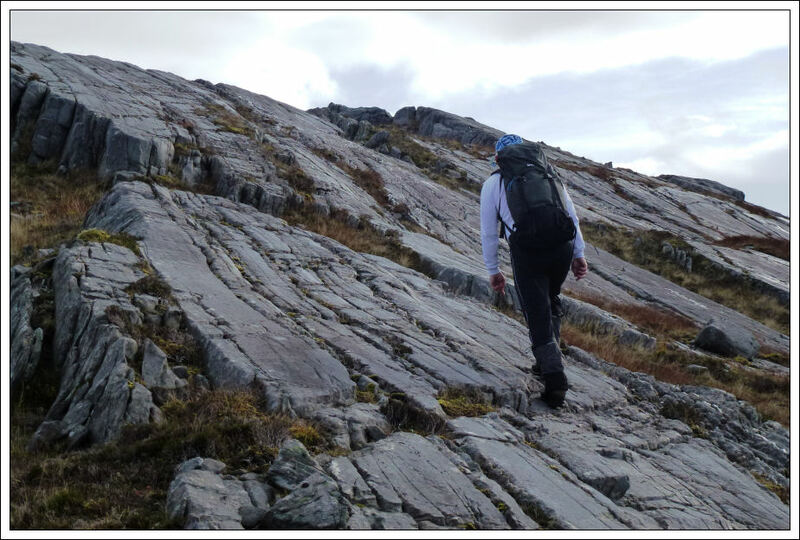 As we approached the final climb to the summit we walked up some really nice rock slabs. We initially visited the trig point at 599m before going on to the 601m summit. Sithean Mor is only 9m short of being a Graham. We spent around five minutes at the summit soaking in the views and taking photographs before crossing the rough terrain between Sithean Mor and Beinn nan Cabar. 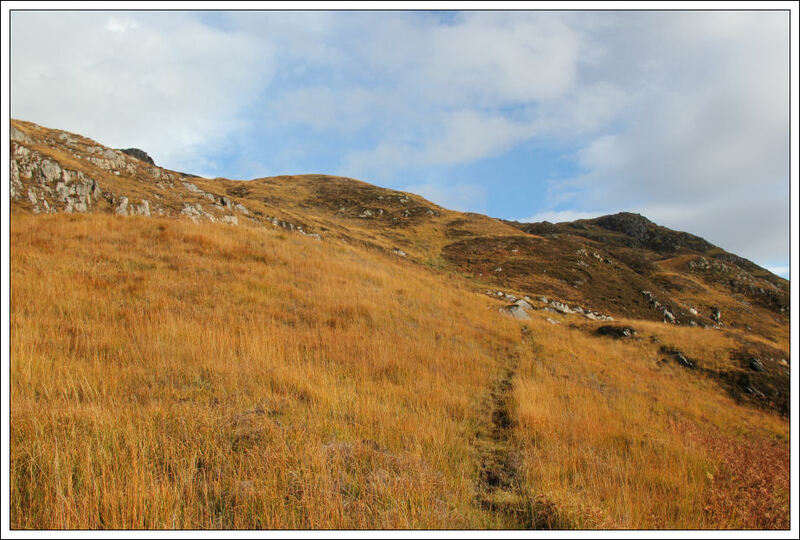 The descent from Sithean Mor to the col before the 504m hill was fairly straight-forward. 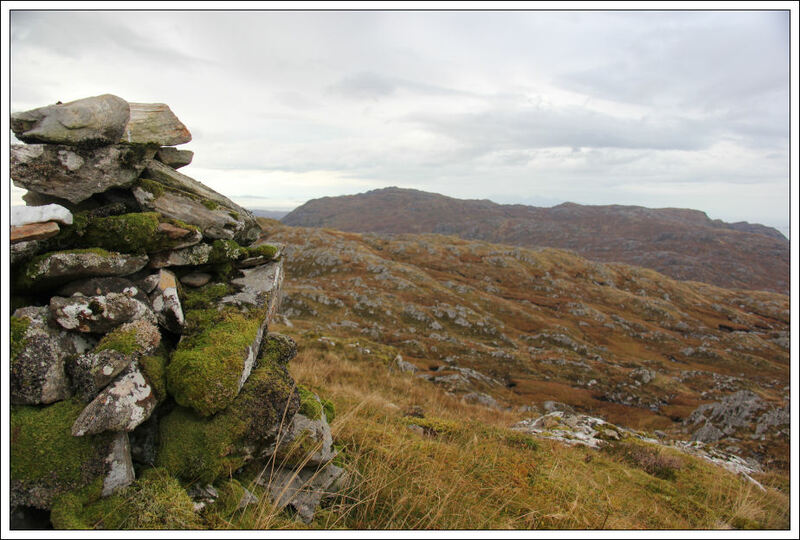 The ground between the 504m hill and Beinn nan Cabar was fairly rough. 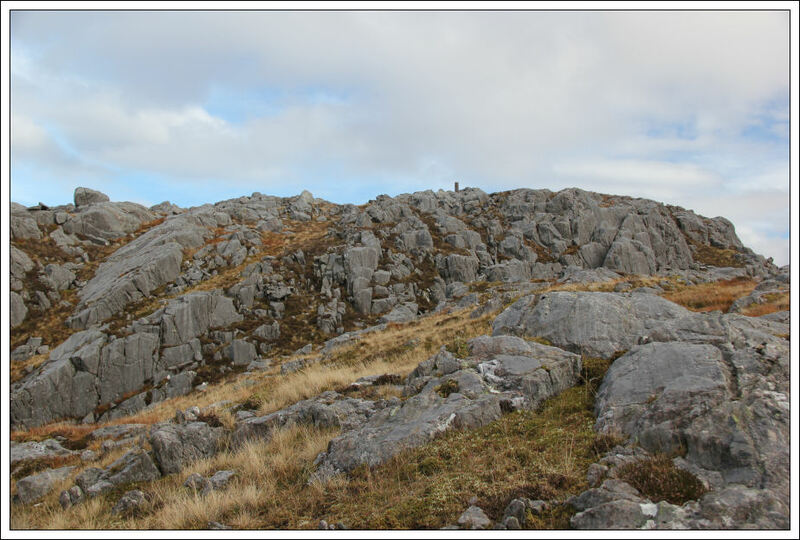 We ascended Beinn nan Cabar via a steep grassy gully. This ascent was very unpleasant partially owing to the steepness but more so due to the plague of deer keds landing on us. Was not impressed with getting one in my mouth and another heading up my nostril. Disgusting insects! It was great to escape the gully and evade the deer keds. 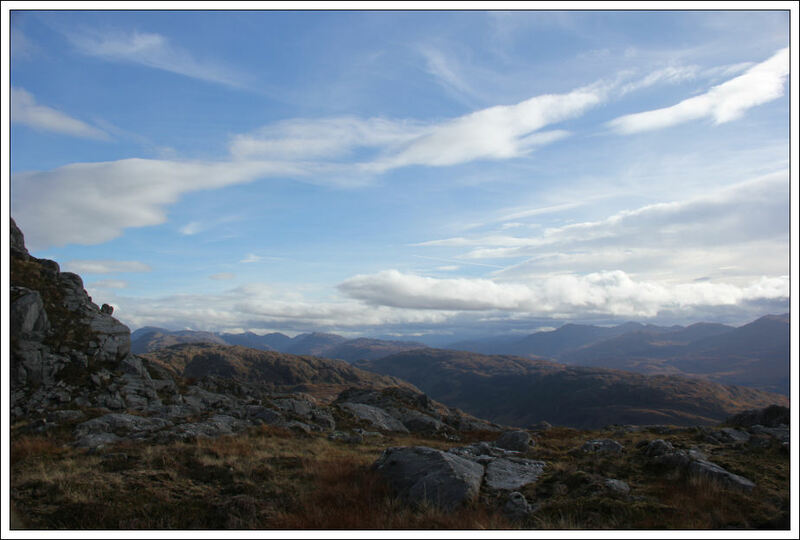 It took longer than expected to reach the summit of Beinn nan Cabar. 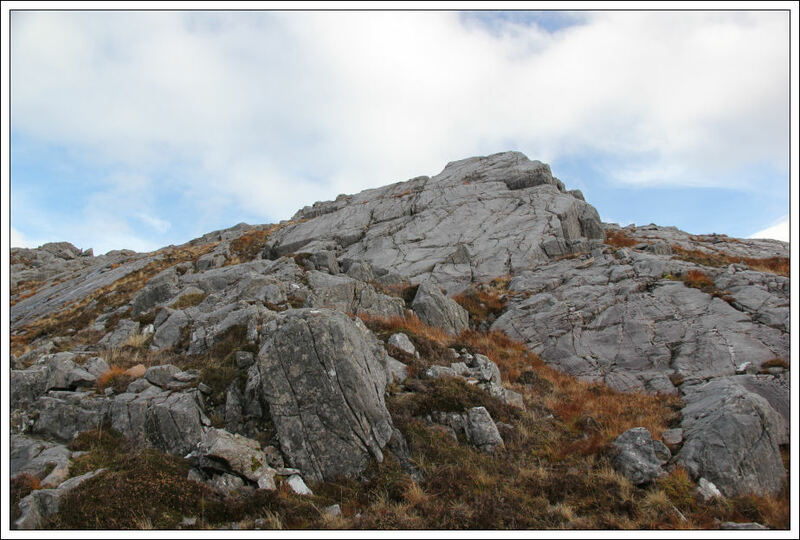 At the summit we ruled out continuing on to also ascend Creag Bhan. 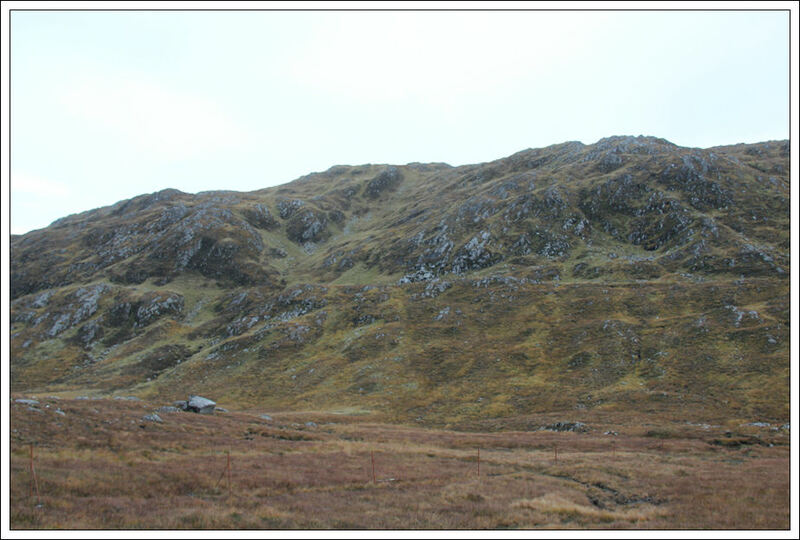 Instead, we had a quick look at the map for a potential route off the hill and back to the A830. 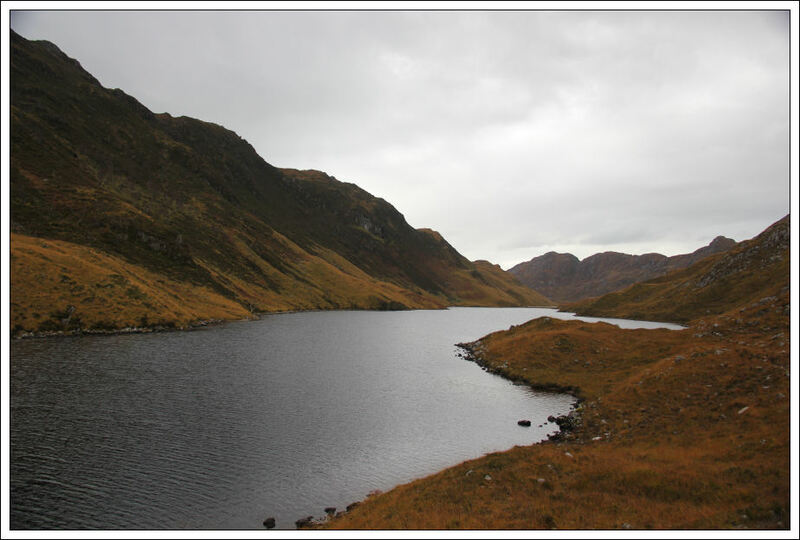 We initially descended a coire hoping that we could descend via the Allt an Fhithich. We got so far down this gully before it became dangerously steep. 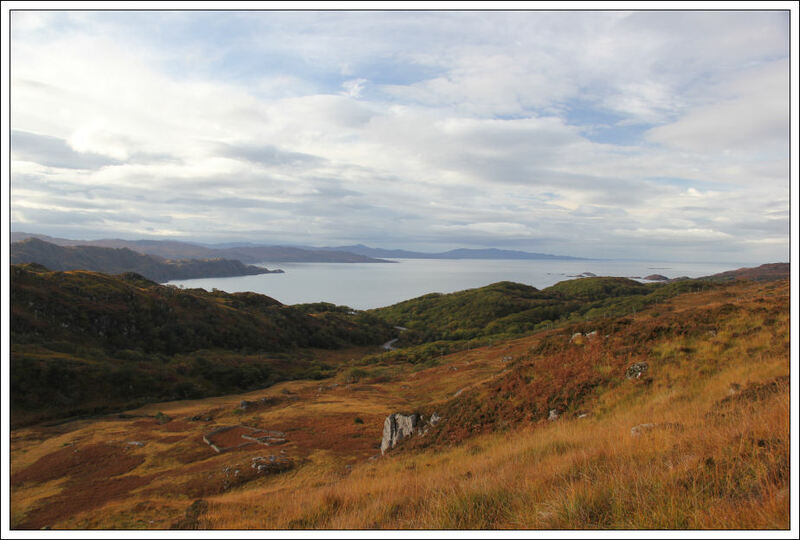 We therefore looked again at the map and opted for an alternative descent route that would take us towards the East-end of Loch na Creige Duibhe. This descent was much safer and more pleasant. 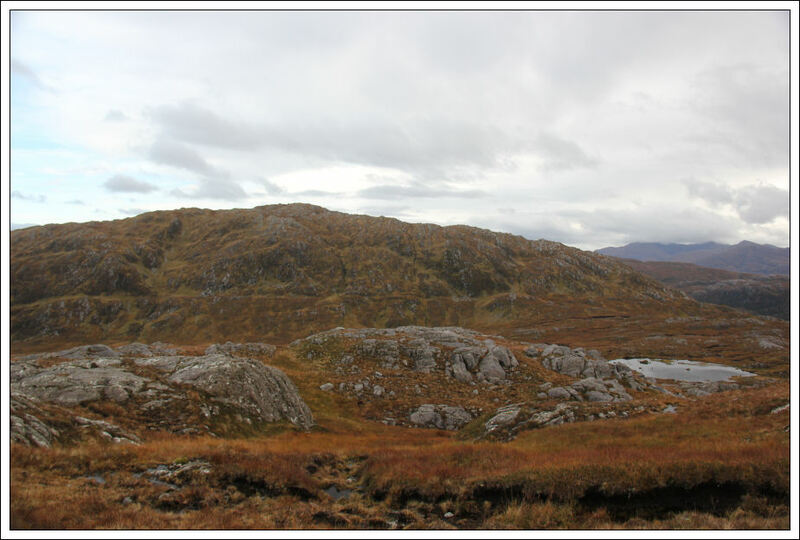 On reaching the East-end of Loch na Creige Duibhe we followed a fairly awful “path” along the loch and then along Loch Mama. 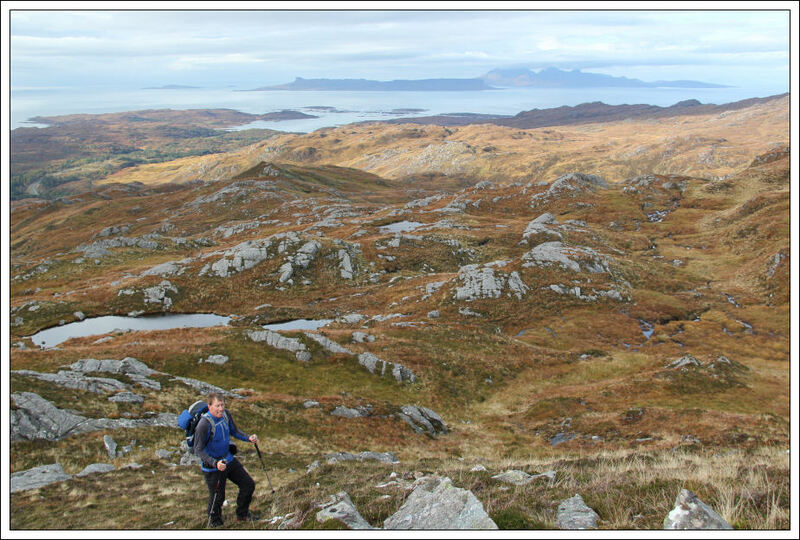 At the end of Loch Mama, we followed a good track that isn’t marked on the map for circa 800m before it began to head off in the wrong direction. At this point we crossed the Allt a’Mhama via some stepping stones before returning to the fairly awful track leading out through Gleann Mama. We got back to the bus with less time to spare than we had originally anticipated but still ‘on time’. We then continued back along the A830 picking up members who all successfully achieved their objectives. A superb day out .